Choosing the Best plans for Recruiters in Job boards is crucial.Making use of creative recruiting techniques will help in getting your jobs seen by candidates who are looking for a new role. It will also provide with benefits of hiring great candidates faster,maintain consistency and with less effort. Writing a potent job description is the main step to attract the right candidates. Describe clearly the requirements,tasks,workplace and benefits of position.this will save the time of going through numerous applications and rejecting unsuitable applications. A Potent and Effective Job description should have the following . Usage of title— use a title which is relevant to your company and which can be easily understood by the industry and people. Qualifications—main a order of priority while specifying the Qualifications needed for the job.First collect the information of what skills,attributes and what kind of a candidate you are looking for,list them all. How to apply—Mention all the Details of what to send(ex:resume,cv,certificates etc) to the Company’s Mail or any address as required.do not forget to mention a dead line. Job Description—State a clear description about the job and make sure to highlight what makes the position unique and worth applying for. Once the Job ad is written, you need to find the right way to promote it. Two factors will determine the best choice: your company’s budget and the type of candidate you are looking for. Remember that using more than one tool increases your exposure. This is where our online Job boards comes into picture. 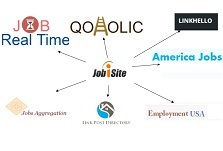 Online job boards—Job boards are simple and most cost-efficient ways of reaching Job seekers. Because of the large number of jobs available on these websites, it’s important to make sure that your job listing stands out as everyday several job postings will be listed and the one you posted may get lost in the list.so here we can make us of Package plans provided by the Jobisite.com .you can always choose the Silver Package or either depending on your company’s budget you can opt for Gold plan which provides Lifetime access for 99$. Once you have used the right recruitment tools and posted a job listing ,the next step is to go through the applicants received.After receiving several applicants and once you’ve selected a list of candidates you feel suitable for the job. This step eliminates the task of going through unnecessary applicants who you feel are not worthy.this will save time noting that you be careful while making the selection. Here are the ways you can approach candidates before the interview. E-mail or telephone—you can email them or make a telephone call on the details they have mentioned in their application and you can actually come to know the first impression and this helps in knowing if the candidates are actually interested or not. Conducting Tests—Testing helps in finding the applicants who’s skills matches your ideals,Testing can assess cognitive skills, emotional intelligence, character, work preferences, etc. Ask for their portfolio—.Having a glance at their portfolio helps you in knowing their previous work experience and achievements . Ask candidates to send you their portfolio to get a sense of what they can do. The interview is the opportunity to confirm the candidates’ qualifications, determine if they meet the job requirements and if they can get along with the job environment. These types of questions help predict future behavior by asking about past experiences. it can help you determine the person’s self-confidence, creativity and problem-solving skills.It will clearly show how they would react in such behavioral situations. When you have interviewed the candidates and finally selected the one who you feel is right,offer him the job. If necessary, give the candidate a few days to decide. Once they have confirmed, it’s common to send a letter of offer that states in writing what was discussed over the phone.